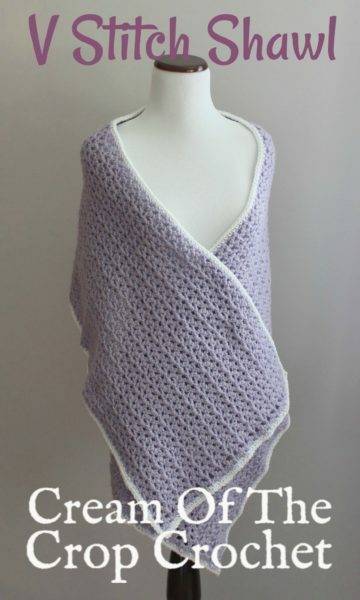 The V Stitch shawl by Cream Of The Crop Crochet makes for a nice mindless pattern once you get past the first few rows. It’s a lovely stitch pattern that you’ll enjoy wearing with all your favorite outfits. 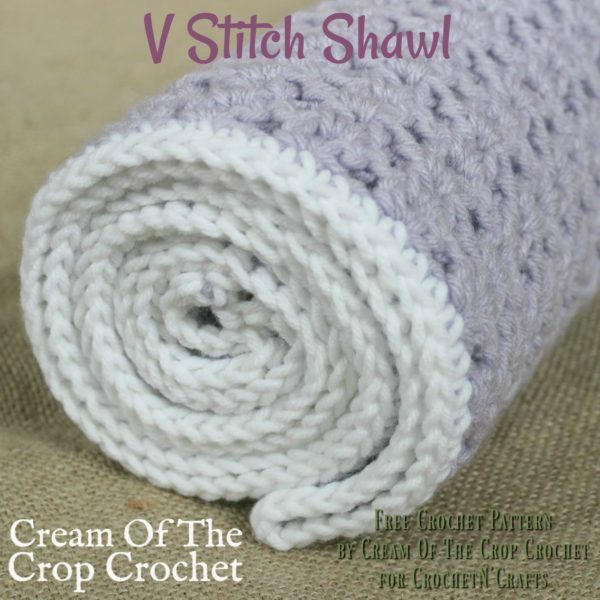 The pattern provides a stitch multiple, making it easy to crochet this as long as you like. And if you need to adjust the width, simply do more or less repeats of the pattern rows. Personally, I think this pattern would look lovely if crocheted into a scarf. Another option is to clean up your stash by crocheting this in pretty stripes. No matter what you choose, this pattern is perfect for gifting to all the women on your holiday shopping list. V Stitch: skip 1 stitch, double crochet in next stitch, chain 1, double crochet in same stitch, skip next stitch. Row 26: ch 2, sk first st, dc in next st, v stitch in each v stitch from the previous row, dc in previous row’s dc, dc in top of ch 2, cut yarn, fasten off, weave ends. Edging: ch 1, sc evenly around, make sure to make 3 sc in each corner. Then join, cut yarn, fasten off, weave ends.